Baking tofu in a marinade is a simple way to infuse it with flavor. Enjoy it with steamed veggies and cooked grains or as a snack. Preheat the oven to 400 degrees F. Cut the tofu into 4 or 8 equal slices and arrange them in a single, tightly packed layer in a 9-inch square or similar baking dish. Combine the soy sauce, water, syrup, vinegar, garlic, ginger, and pepper in a small bowl. Pour evenly over the tofu and bake uncovered for 30 minutes. 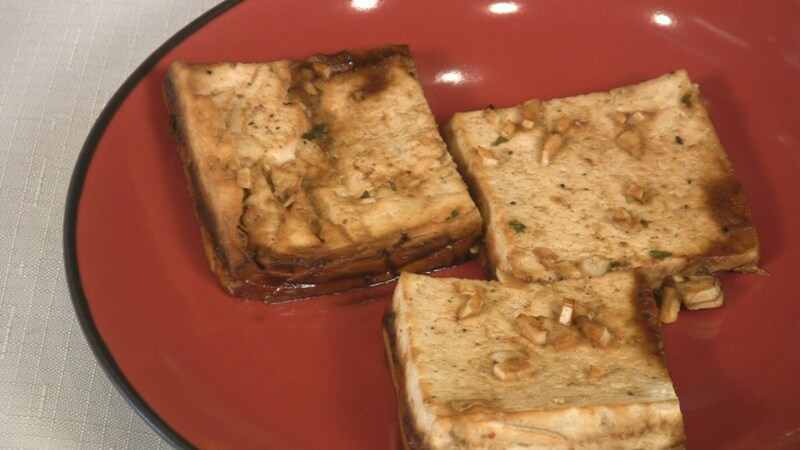 Stored in a covered container in the refrigerator, leftover Baked Tofu will keep for up to 3 days. *For a gluten free version, use wheat-free tamari soy sauce.